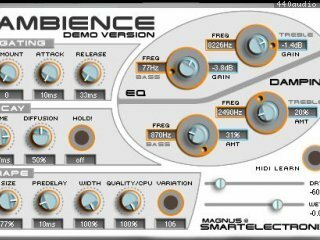 Ambience is a high-quality reverb plug-in with some unusual fonctions, like a gater. Ambience is donationware : this means that you are kindly asked to send some money to the author if you like it or make any profit using it. Any one know if its ok to use on my system? Superb sound. It does slow the computer down, but if I turn down the 'quality' switch' then I can work normally. Superb sound, but power hungry. Percussion synth. Hammered chromatic percussion sounds. It's capable of reproducing the sounds of xylophones, mbira and chimes as well as a swag of strange new sounds. Just intonation synth. 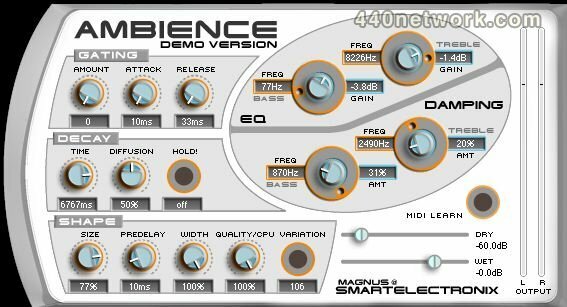 This synth lets you explore the world of just intonation, harmonics and subharmonics. Virtual guitar pedal MXR Phase90. Phase90 is recreation of classic guitar pedal MXR Phase90. Oscilloscope. S(m)exoscope is an oscilloscope AU plugin for Mac OS X wich allows you to visually monitor audio waveforms. Tube distortion. Saro is a tube distortion effect with cabinet modeling.